58569-PK is rated 3.7 out of 5 by 47. Rated 3 out of 5 by Anonymous from Nice features! 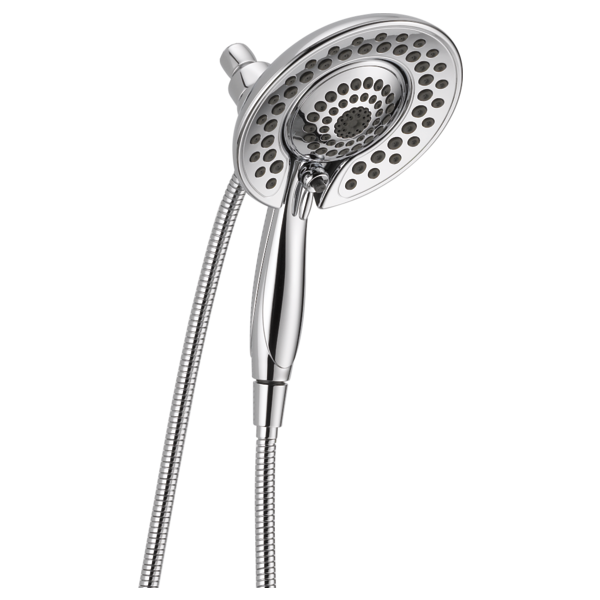 I bought this to be the shower head for the Delta Porter set. I had 10x pressure before installation, so I have to figure out how to fix that... There are 5 different settings and changing to each one is simple. The pressure is not enough for the massage setting... Also, the hose is still stiff after 2 weeks of use, but continues to get more pliable using it. It may never be the slinky hose that I am use to... I give it 3 stars because of pressure and the stiff hose... This was a new jet tub/shower walls and fixtures job. Complete bath area... haven't trimmed it out yet. Rated 2 out of 5 by Dana from Less than 2 years old and broken/leaks??? 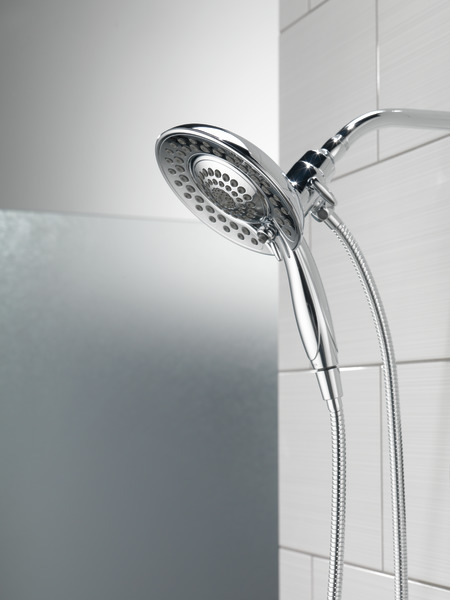 Our new two in one bronze shower head is less than 2 years old and has been leaking for months. Removed hose above and put on plumbers tape and it's still leaking. Searching YouTube and it looks like it is probably a cartridge seal failure. How can that be so soon? 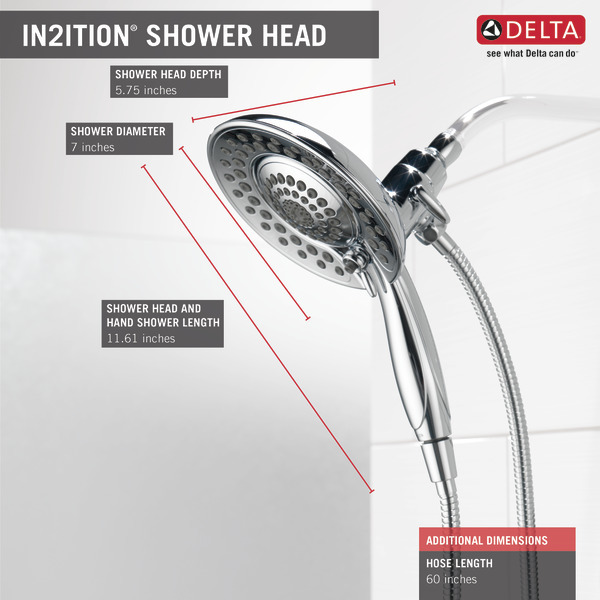 Rated 3 out of 5 by Kris from In2ition shower head. Customer service is great. Had an original In2ition shower head and the control knob broke. You sent a replacement in 2 days. Everything looks great. Only problem is the new shower head has much less pressure than our old one. Any suggestions. Rated 1 out of 5 by Junior02 from Handheld constantly falls out, and no water pressure when using both the shower heads.... I've had this item for only a few days now, and the handheld shower head will not stay in the middle ring. Bump it, change the water settings, breath and it falls out. Also, when using the larger shower head and the handheld at the same time, the water pressure comes to a dripping halt. It's fine when using one or the other, but not together. I understand having to divert water from one to two will cause a change, but it's very drastic. Already looking for a replacement after 3 days and definitely would not recommend to consumers. Rated 1 out of 5 by Chad from Water pressure issue Shower lacks force of volume. 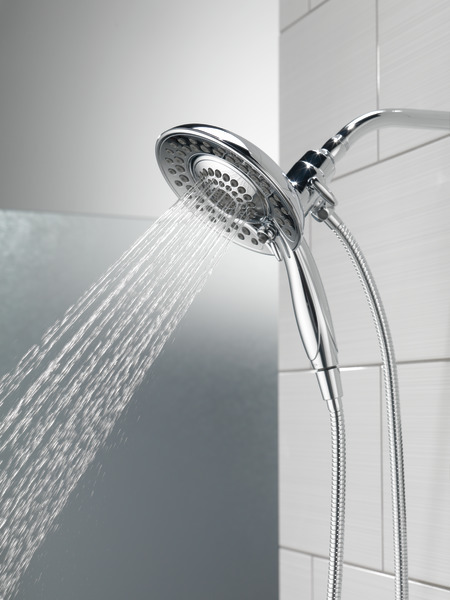 It’s new and I’ve installed it properly but water pressure has been significantly decreased. 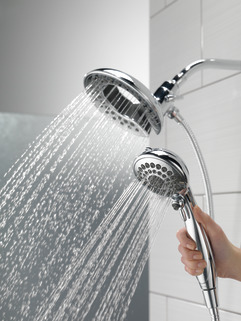 I can hardly take a shower with this product. Is the 58569-PK available in brushed nickel? Need to know how long the hose is, and if alternate lengths are available. 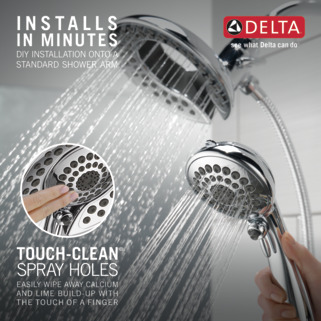 What is the difference between the Delta 58469-SS-PK and 58045-SS? I just remodeled, and have this shower head installed in one of my bathrooms. The city inspector is asking if it has a built in anti-siphon valve (need proof to pass). Does any of the literature on this item cover that? Please help! Thx. 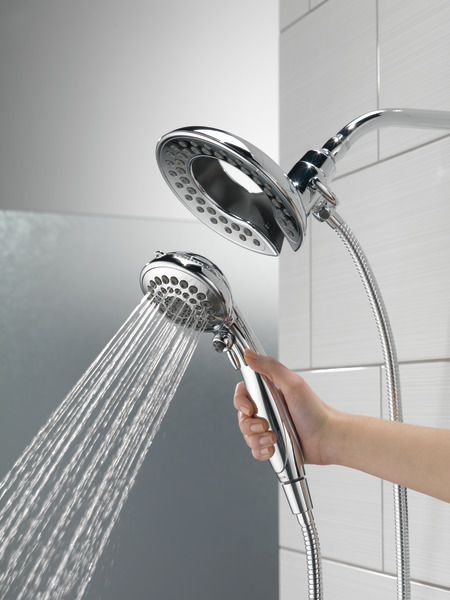 Is there a replacement part for the shower adjustment piece? Mine broke off. 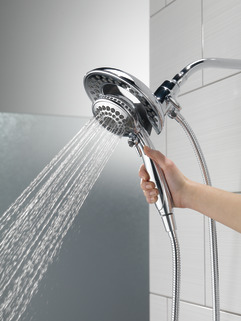 Is there some kind of water saver device on this that can be removed? I could use a little more pressure and flow. Is there a restricter on this and where is it located? 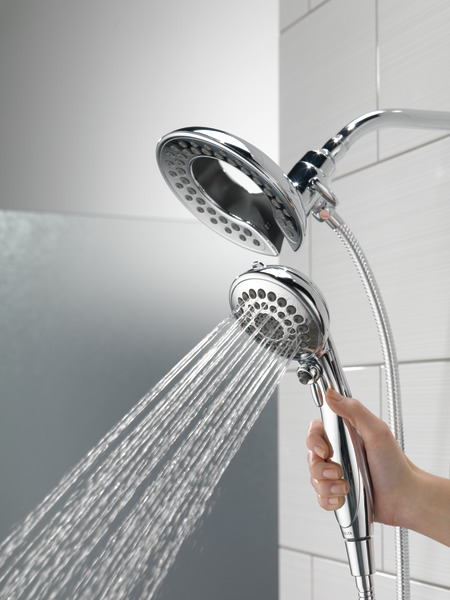 Can the restrictor be removed to allow for greater water pressure?